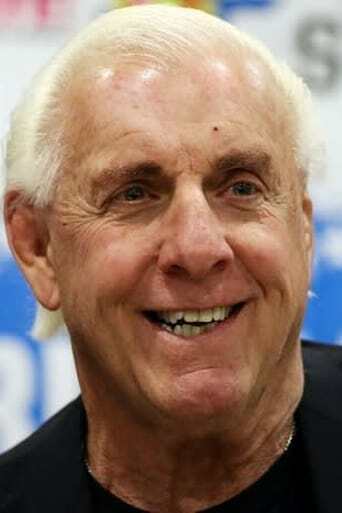 Richard Morgan Fliehr is a semi-retired American professional wrestler, better known by his ring name Ric Flair. Also known as "The Nature Boy", Flair is considered to be one of the greatest professional wrestlers of all time with a professional career that spans 40 years. He is noted for his lengthy and highly decorated tenures with the National Wrestling Alliance (NWA), World Championship Wrestling (WCW) and the World Wrestling Federation/Entertainment (now known as WWE), and Total Nonstop Action Wrestling (TNA). Flair is officially recognized by WWE, TNA, and PWI as a 16-time World Heavyweight Champion (seven-time NWA Champion, seven-time WCW Champion, and two-time WWF Champion) although actual number of his World Championship reigns varies by source; Flair considers himself as a 21-time World Champion in NWA, WCW, and WWF (now known as WWE). Ric has won ten NWA Championships in WCW, as well as three NWA Championships in All Star Pro Wrestling, All Japan Pro Wrestling (AJPW) and Central States Wrestling (CSW). Along with these he is a six-time WCW Champion, two-time WCW International World Champion, two-time WWF Champion and a three-time NWA Mid-Atlantic Heavyweight Champion, making him a 26-time World Heavyweight Champion. In World Championship Wrestling (WCW), he also had two stints as a booker—in 1989–1990 and 1994. Flair also became the only man to have won the WWF Championship in a Royal Rumble match, when he accomplished this in the 1992 edition of the event. In 2012, Flair became the first ever double inductee in the WWE Hall of Fame, first inducted in 2008 for his individual career, and for a second time in 2012 as a member of the Four Horsemen. He is also an NWA Hall of Famer (class of 2008). Flair's hair styles and mannerisms are based on those of Buddy Rogers, who previously and famously used the "Nature Boy" gimmick in the 1950s and 1960s. Coincidentally, Flair also followed Rogers in becoming the second man to win both the WWF and the NWA World Heavyweight Championship.Flair was the first WCW World Champion, having been awarded the title following WCW's secession from the NWA in 1991. With that, he also became the first WCW Triple Crown Champion upon being awarded the title, having already held theUnited States and World Tag Team titles. In 2005, he completed WWE's version of the Triple Crown when he won the Intercontinental Championship, after already holding the WWF (now WWE) Championship, as well as the World Tag Team Championship, becoming the third man to win both the WCW and WWE Triple Crown (after Bret Hart and Chris Benoit). Using the officially recognized totals (by WWE, TNA and PWI) of 16 World Championships and a record-tying five U.S. Championship reigns, Flair has won a total of 30 different major championships between the NWA, WCW, and WWE, with numerous regional titles also to his credit. A major pay-per-view attraction throughout his career, he has headlined WWE's premier annual event, WrestleMania, as well as the NWA/WCW equivalent, Starrcade, on nine occasions.